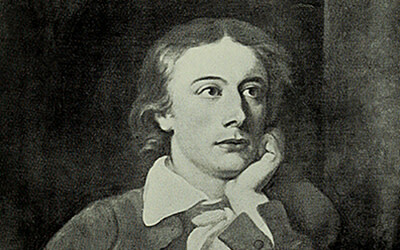 Keats’ first published poem, his sonnet To Solitude, announced a creative conjunction of places and verbal patterns that would reappear in nearly everything he wrote. Each of the four books of Endymion was written at a different place – at Carisbrooke, Margate, Hampstead, Oxford, Burford Bridge and Box Hill – and those places shaped the verbal landscapes in his poem. The opening lines, for instance, are set on the Isle of Wight near Carisbrooke Castle; I stood tiptoe describes scenes and sights on Hampstead Heath; Sleep and Poetry surveys Leigh Hunt's study at the Vale of Health; Isabella turns Teignmouth into Tuscany; and Lamia, set in classical Corinth, draws some scenic props from the ancient cathedral city, Winchester. Even the cider press in To Autumn had a local habitation, in the precincts of St Cross Hospital. In this illustrated talk, Professor Nicholas Roe wants to salute an energetic, physically active Keats for whom 'footing slow' through the mountains of Scotland stirred his imagination and the iambic pulse of his poetry. Hopefully we will start to see Keats as a poet of place – as much as, and maybe more than, William Wordsworth – who never wrote a sonnet on the summit of Ben Nevis. Seminar hosted by the Enlightenment, Romanticism, and Contemporary Culture research unit, and the English and Theatre Studies Program in the School of Culture and Communication, Faculty of Arts, The University of Melbourne.